In Who Needs Trust? If Truth be Told, author Roma Desai draws upon the experiences of young people and adults who were sexually abused as children. 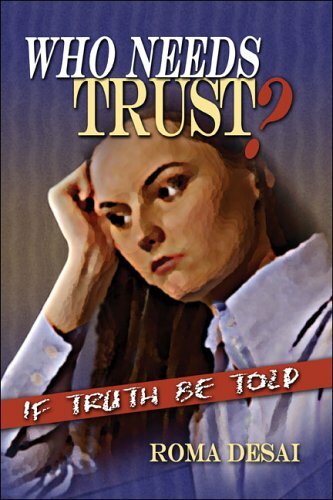 She reveals how these survivors search for someone they can trust, along with their struggle to “become.” Who Needs Trust? is not a self-help book; rather, it divulges the author’s observations about survivors of sexual abuse, including their perception of self and others, their pain, and the ways they tend to repeat the pattern of mistrust time and time again. The author uses the “I” voice in order to make the stories clear for the reader. The book illuminates the collective voice of those remarkable people who struggled for years to come to terms with their experiences, harboring guilt, blame and anger.